Sea stacks and salt water sprays at Laupahoehoe, Big Island, Hawaii. Some morning are better than others! wow stunning, love the dramatic sky and how you are draw in by the flow of the water. 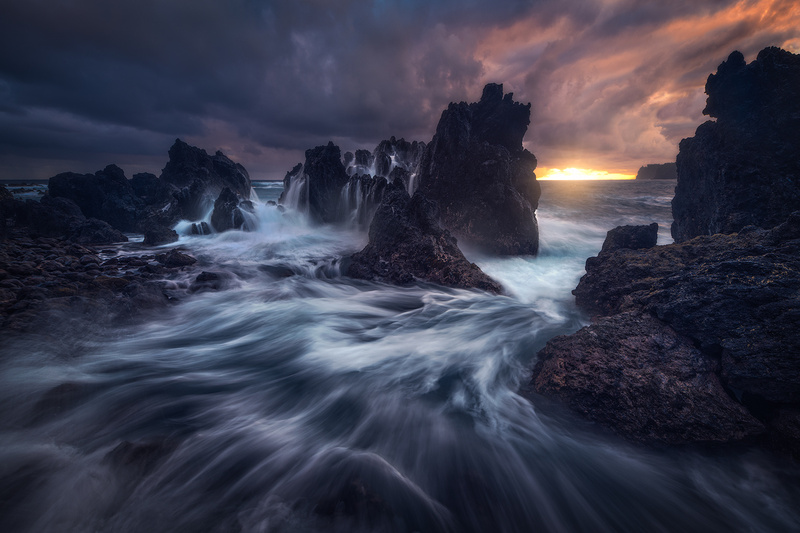 One of the best seascapes I've ever seen, amazing image!